Photographer? Or do you just like to take pictures? A few months ago I came across at t-shirt that said “Momtographer” on it. Since then I have seen that word more and more in the online world. I’m going to come right out and say I don’t like it – which has nothing to do with the spirit or intent of the word but because a) I am not a fan of made up words (I mean the word makes no sense at all) and b) because it has caused a lot of negative connotations for photographers that happen to be moms and for moms that just like to take pictures but don’t consider themselves to be photographers. I have been taking pictures for as long as I can remember. As a kid I shot and wound countless rolls of 120, 220 and 35 mm film. This was back in the day when there was no 1 hour film processing and you had to wait a good week to get your pictures back. I burnt through countless flash bulbs and savored every second of watching Polaroid film develop in front of my eyes! I always had a camera in my hand or around my neck. It is the reason that my little brother (who is 10 years younger than me) has most of his young life documented on film, compared to the handful of pictures a year that exist of my older brother and I as kids. When I was about 20 years old I saved my money and bought the best 35 mm camera I could afford. It was a Fujifilm and I was very proud of it. I can’t recall exactly how much it cost but it was a significant amount of money for me (a college student) at the time. It was a superb camera in it’s class and I never left home without it. When digital cameras came on the scene I was probably the first person I knew to buy one. It sucked. Digital cameras were hugely expensive when they first hit the market and the 2 or 3 that were in my price range were less than mediocre. It didn’t matter. I still had my precious Fuji while experimenting with this fancy new digital technology. It also led me into the world of digital photo editing. As crappy as the images were from my little digital camera, I now had photo editing software which, I soon discovered I could also use to manipulate scanned images from my much better film camera! My interest and pleasure in taking pictures has just grown and grown over the years. I now have spent thousands of dollars on photography and studio equipment and have invested an equal amount of hours studying and practicing the art. I am a photographer. I do not hesitate to use that title. People pay me to take pictures for them. It is not my full time job because at this point I don’t want it to be (although it was a nice supplement to my income when I was off on maternity leave). I have another career that I enjoy and that brings in a consistent pay cheque. The market is heavily saturated with photographers so making a full time living at it requires a certain mindset that I just don’t have, at least not right now. Maybe some day I will. The fact is, and it’s an important fact, you don’t have to make money from your photos to be a photographer. There are many, many people out there that are dripping with talent, in a myriad of areas, that do not use their talent and skills to make money. It’s not about the money, except when it is (more on that below). These days digital cameras are in everyone’s pocket, literally. Between cell phones, tablets, point and shoot and digital SLR cameras we almost always have a digital camera at our finger tips. With the rapidly accelerating technology, prices have come down dramatically over the years. SLR cameras are no longer just for the professional photographers that needed to invest huge amounts of money into their cameras to make a living. You can now walk into your local Best Buy and pick one up for a few hundred dollars. It’s fabulous, and it’s not. I love that people with an interest and a passion for capturing images can now afford to take them with a decent camera. They can proudly show off terrific pictures of their families, vacations, etc. that they took themselves. There is magic in a “good” picture and being able to do that yourself is a wonderful feeling. But buying a decent camera does not make one a photographer. Anyone can hang a shingle and call themselves a therapist and anyone can do the same with photography. I have seen good people pay money for bad pictures far too often. Why? Because the lure of making money seems to cause some people to overestimate what they are capable of with little to no knowledge or experience. There is theory and practice, and more theory and more practice involved at being good at most things in life, particularly those that involve technical elements. It is irresponsible to peddle yourself as a “professional” to make a few bucks when you know (or should know) that you aren’t. I know what I’m capable of behind the lens. That is ever changing as I continue to grow and focus, but I am aware of what I can take on and what I can’t (or won’t). If you asked me to shoot something (professionally) that I either had zero interest in (like newborns with angel wings in picnic baskets) or zero experience with (like sporting events) I would turn you down. If you were a friend asking me for a favor I would happily oblige but I would not take on a paying job that I was not reasonably confident that I could do well or that just held no interest for me. Another emerging, and frustrating, trend that I have noticed is people relying on image editing software to make them photographers. Programs like Photoshop are amazing and extremely useful tools. However, your goal should always be to take a good picture, not to take a lousy picture and rely on software to magically turn it into a good picture. What’s even more frustrating is when I see a perfectly fine picture destroyed by a photographer trying to pull off some fancy editing techniques that either aren’t necessary or they don’t know how to do. I think part of this stems from a lack of confidence in their photography skills. A picture doesn’t have to be “fancy” to be beautiful. In fact, the best photos rarely need much or any editing at all. The line between who is a photographer and who just likes to take pictures is increasingly growing out of focus. I know that hobbyists passing themselves off as professionals actually infuriates some photographers. They believe it devalues their work and their profession and drives down prices. I don’t agree. Even true professionals have to start somewhere and you don’t come out of the gate charging rock star rates. You get what you pay for and the smart consumer knows that. What bothers me is the dishonesty about ability. Anyone can take a thousand pictures and find a handful that turned out ok, edit them and then plaster them on a website and advertise themselves as a professional photographer. But when you do that, and make promises you can’t deliver on, well that doesn’t really hurt the profession, but it’s certainly not fair to the people shelling out money to have their precious moments captured. Maybe the industry needs a Mike Holmes type to step in and judge our work. Ok, scratch that. I hate Mike Holmes. The truth is, however, that a photographer, a real photographer (one that does it for money or not) has a true passion for what they do and it usually shows in both their images and how they conduct their business (if they conduct business). 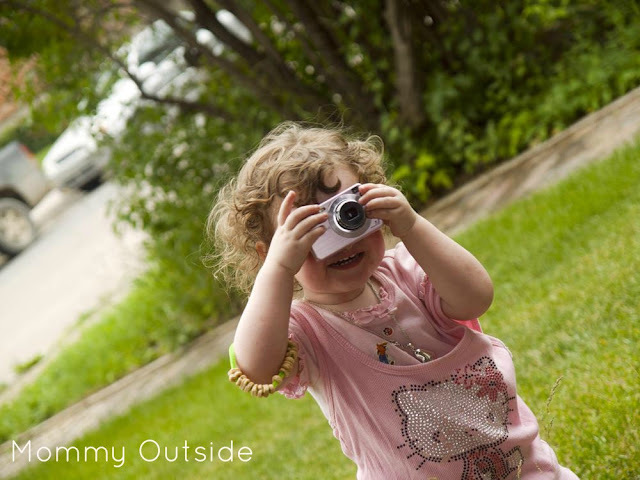 Personally I don't see the negatives in "Momtographer" – I would consider myself one… I take a lot of pictures for personal use and my blog, but I know I am NOT a photographer and have a lot to learn about taking great pictures. Wait, you mean you like him? Lots of people like the word, some have blogs with the word in the title. I simply find it irritating, not particularly offensive. I agree with Kate! That word describes me! I don't think i'm amazing and I do go to professionals, my friend!, to get good ones done! I think the play on words is fun! I really debated leaving that paragraph in the post because I was afraid that little tidbit would distract from what I was actually saying. Oh I love that you set up your barbies in catalog poses! I actually have been thinking about doing a whole Barbie project this year with a similiar kind of feel. And yes film, and processing was kinds of pricey back then and we didn't have a lot of money. I'm surprised my parents let me snap away so much! That paragraph drew me in and I agree; the word just doesn't make sense! I used to do Barbie photoshoots too! Those pictures (since it was before digital) are hanging in my daughters' room! My brother-in-law is a professional photographer (oh look! now we have distinguished between paid photography and hobby photography without making up a new word!) and he shares your views on this. I'm pretty sure I've heard almost just what you've said above, with exception to that momtographer thing; that was the first I'd heard of it. Oh I adore my iPhone for the ability to be ready to snap a shot at almost any give moment, and send it off to Grandma and Grandpa with a couple of clicks! Oh just a few months ago there was a "wedding photographer" out in BC who's entire online portfolio consisting of images she had stolen from other photography websites. She was discovered when a friend (or relative I don't recall exactly) of one of the people she stole her pictures from came across her site and recognized some of the pictures.